Father Peter Rookey - The Healing Priest " Pilgrimage of Love "
Thank you Ed for sharing this very moving tribute to Father Rookey. I hope everyone orders this touching DVD. "Pilgrimage of Love: The Story of a Priest". Follow Fr. Peter Rookey as he makes one last journey to the Holy Land, a walk of faith that parallels his remarkable life story, including his own healing of blindness as a child and his 60+ years as a Catholic priest. Praise God for this holy, humble worker in the vineyard, and for the many healing miracles that Jesus Christ has worked through him. 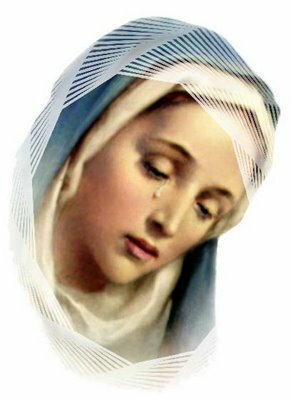 The full DVD can be ordered from Our Sorrowful Mother's Ministry. A big mahalo to Father Martin Fox and Mary Jane for the reminder. 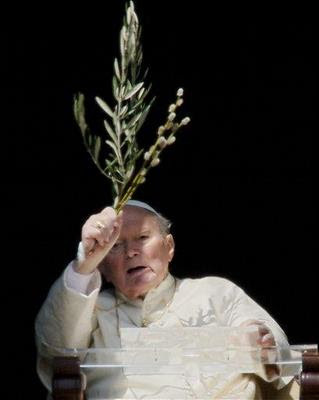 As you know, Our Holy Father, Venerable John Paul II died on the vigil of Divine Mercy Sunday. John Paul, lover of God and man, pray for us. John Paul, Supreme Pontiff, pray for us. John Paul, Servant of the Servants of God, pray for us. 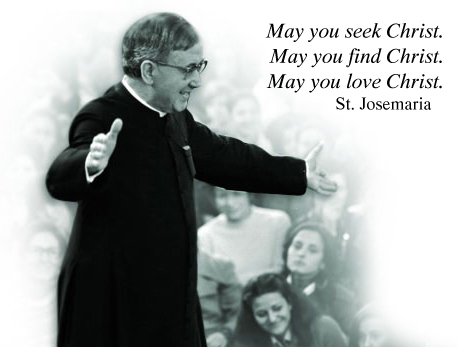 John Paul, Vicar of Christ, pray for us. John Paul, Bishop of Rome, pray for us. John Paul, son of Mary, pray for us. John Paul, follower of Christ, pray for us. John Paul, world wide apostle of the Good News, pray for us. John Paul, devoted adorer of the Blessed Sacrament, pray for us. John Paul, lover of the Rosary, pray for us. John Paul, lover of the sick and poor, pray for us. John Paul, head of Christ's Church, pray for us. John Paul, moral beacon, pray for us. John Paul, bishop of bishops, pray for us. John Paul, fighter of tyranny, pray for us. John Paul, Pope of the New Advent, pray for us. O Blessed Trinity We thank You for having graced the Church with Pope John Paul II and for allowing the tenderness of your Fatherly care, the glory of the cross of Christ, and the splendor of the Holy Spirit, to shine through him. Trusting fully in Your infinite mercy and in the maternal intercession of Mary, he has given us a living image of Jesus the Good Shepherd, and has shown us that holiness is the necessary measure of ordinary Christian life and is the way of achieving eternal communion with you. Grant us, by his intercession, and according to Your will, the graces we implore, hoping that he will soon be numbered among your saints. Amen. 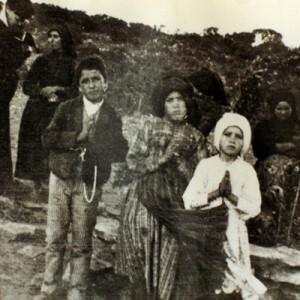 On June 13, 1917, when she appeared to three shepherd children at Fatima, Portugal, the Most Holy Mother of God told Lucia dos Santos, " Jesus wishes to make use of you to make me known and loved. He wants to establish in the world devotion to my Immaculate Heart. I promise salvation to those who embrace it, and these souls will be loved by God like flowers placed by me to adorn His throne." The next month, on July 13, the Blessed Virgin Mary showed the children a terrifying vision of hell. Then she said, "You have seen hell where the souls of poor sinners go. To save the, God wishes to establish int he world devotion to my Immaculate Heart. If what I say to you is done, many souls will be saved and there will be peace...I shall come to ask for...the Communion of reparation on the first Saturdays..."
Our Lady came to Lucia again as she promised, on December 10, 1925, with the Child Jesus in the Dorothean convent at Pontevedra, Spain. She revealed a heart encircled by thorns. The Child Jesus said: "Have compassion on the heart of your most holy Mother, covered with thorns with which ungrateful men pierce it at every moment, and there is no one to make an act of reparation." 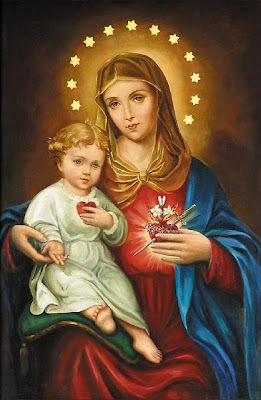 Our Lady spoke next, saying: "Look, my daughter, at my heart, surrounded with thorns with which ungrateful men pierce it at every moment by their blasphemies and ingratitude. You at least try to console me and say that I promise to assist at the hour of death, with all the graces necessary for salvation, all those who, on the first Saturday of five consecutive months, shall confess, receive Holy Communion, recite five decades of the Rosary and keep me company for fifteen minutes while mediating on fifteen mysteries of the Rosary, with the intention of making reparation to me." 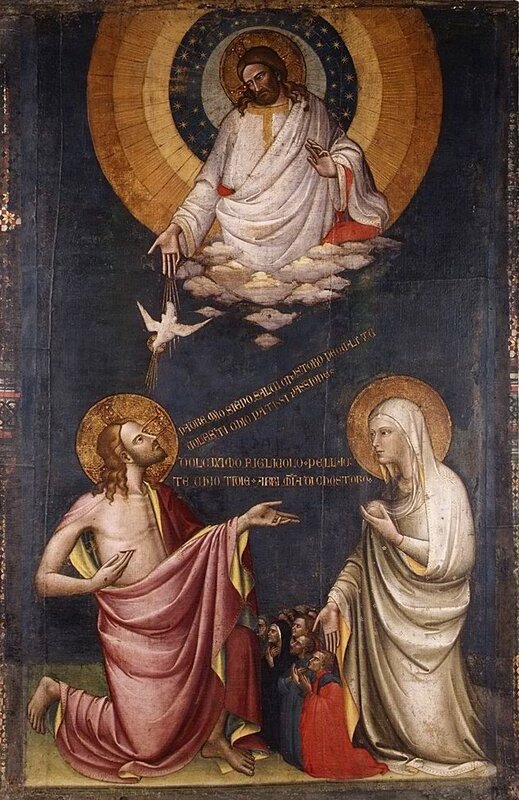 Christians have always honored the Blessed Virgin on Saturday because of her constant faith in Jesus on that first Holy Saturday before the Resurrection. 5. for those who insult her directly in her sacred images. In another earlier section she writes how she was only able to pray when she had a good spiritual book to read. Sometimes, in order to pray, she just needed to have the book by her; not necessarily reading it. Her prayer life certainly went through many steps. What insight this saint has on prayer! I am very certain the devil does all in his power to keep us from prayer. I read that prayer is talking to God and reading Holy Scripture is God talking to us. Although, I am also sure that if we listen carefully...and not talk, God will speak to us in the quiet of our hearts. It is in these quiet moments, like in adoration before the Blessed Sacraments, that serious sins I have long forgotten and I am sure never confessed, were recently brought to mind. God in His infinite goodness and mercy reminded me so that I could have a chance to confess these long forgotten sins. The devil on the other hand, will make so much noise and put fear into our hearts, that we will be afraid just like Saint Teresa was. 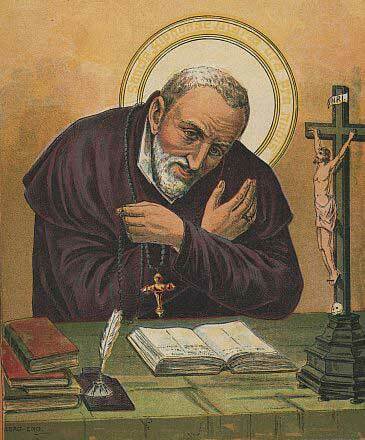 VATICAN CITY, 30 MAR 2011 (VIS) - In this Wednesday's general audience, celebrated in St Peter's Square, the Pope spoke about St. Alphonsus Maria of Liguori, bishop, Doctor of the Church and "outstanding moral theologian and master of spiritual life". Vatican City, Mar 30, 2011 / 12:33 pm (CNA/EWTN News).- The Church owes a debt of gratitude to the towering figure of St. Alphonsus Maria of Liguori, Pope Benedict XVI said at his weekly Wednesday audience, March 30. A Gift for Our Holy Father: 84,000 Novenas for the Pope's 84th Birthday! I received an email requesting that we spread the word on a special novena to celebrate our Holy Father's 84th birthday. What a great idea! Will you join me in giving the Pope a huge gift for his birthday? Pope Benedict XVI is celebrating his birthday on April 16th and I'm joining up with praymorenovenas.com to get 84,000 people to pray a novena for the Pope's 84th birthday. 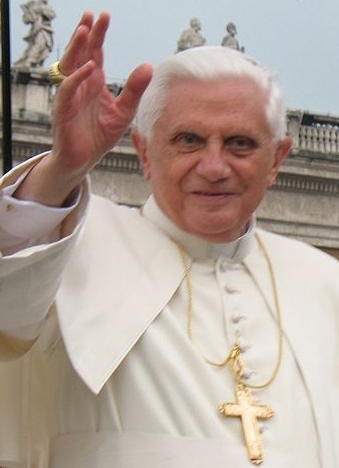 On April 8th, we will begin praying for nine days leading up to and ending on the Papa Benedict's birthday. 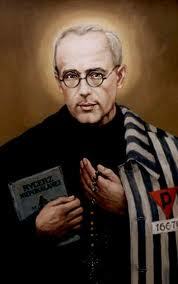 The Pope prays for us everyday so it's time to return the gift to him on the anniversary of his birth. 84,000 Novenas is a lot! So, I'm going to need your help. I want everyone who reads this blog to do the following to help with this birthday gift! + If you have a website, post about it there! + Email your friends and family and get them praying too! I'm sure the Pope will love that we are all praying for him! Please help us reach our goal of 84,000 novenas for the Pope! The following is from The Dolorous Passion of Our Lord Jesus Christ by Anne Catherine Emmerich. "When our Lord announced to his Blessed Mother what was going to take place, she besought him, in the most touching terms, to let her die with him. But he exhorted her to show more calmness in her sorrow than the other women, told her that he should rise again, and named the very spot where he should appear to her. She did not weep much, but her grief was indescribable, and there was something almost awful in her look of deep recollection. Our Divine Lord returned thanks, as a loving Son, for all the love she had borne him, and pressed her to his heart. He also told her that he would make the Last Supper with her, spiritually, and named the hour at which she would receive his precious Body and Blood. Then once more he in touching language, bade farewell to all, and gave them different instructions..."
I have not read the email I received from Dr. Fahey until today. I hope it is not too late to share this with you. Sophia Institute Press as you may know is a very fine Catholic publisher of excellent books. I buy most of the new books from them. For a long time now, John Barger has been pleading for our help. I have only been able to buy a few books recently. I wish I could do more. However, if we all pitch in, we may be able to help. I hope and pray it is not too late. The following is the email. Please read it. I am sure it will touch your heart as it touched mine. Please keep them in your prayers! 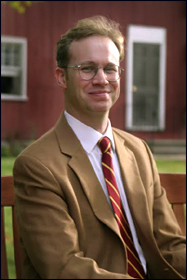 Opposite me sits John Barger, founder of the venerable Catholic publishing company, Sophia Institute Press. His hair is disheveled, dark circles rim his eyes. Speaking in a monotone, his words echo those of Mother Teresa in her last years: "For me, the silence and the emptiness is great," he says. "I don’t see God. I don’t hear Him. 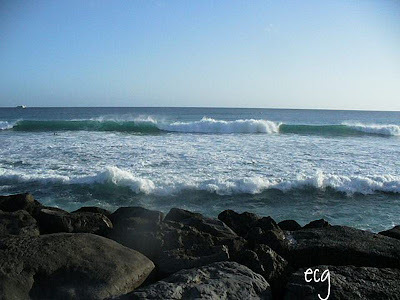 Sometimes I wonder why I persevere." "I guess I really do believe that God requires me to be faithful, even at times like this, when it’s clear that in just a few days my life’s work will be destroyed. Sophia is on her deathbed, and I can’t save her." "William," John continues, "I don’t think you could have done what I’ve done for Sophia these past thirty years, but my time is past." "Together, however, maybe you and I can still do something beautiful for God." As John speaks, my thoughts turn back to my days as a young graduate student nearly two decades ago, drifting slowly away from the Church. It was then that I came across a number of books John had published, books that restored my faith: lucid explanations of Catholicism and ardent defenses of it by Romano Guardini, Christopher Dawson, Dietrich von Hildebrand, St. Thomas Aquinas, and other great Catholic writers whose works were largely out-of-print. How would a young man like me have discovered these soul-saving Catholic classics if John had not plucked them from obscurity, edited them well, and lovingly published them in handsome editions promoted far and wide, finally to wind up in my hands hundreds of miles away? Through John’s tireless efforts at Sophia, God restored my faith. Now God’s asking me to return the favor: to restore Sophia, so she won’t have to close. To do something beautiful for God. Drive away with it tomorrow. After four-months of grueling discussions with almost fifty suitors, John and his Board of Directors have concluded that here at the recently-renewed Thomas More College of Liberal Arts we have a team with the knowledge, talents, and fidelity to the Church necessary to save her. Reviewing Sophia's balance sheets, seeing how sick she is, I’m not sure anyone can help her. To pay her most urgent bills and to generate desperately needed income by reprinting her strong-selling, out-of-stock books, they’d have to raise $100,000 in just two weeks! As John and I sit in his office, we both know that if I refuse to help, Sophia will die . . . within just a few days. I look into his sad eyes, seeking there to find God’s will for Sophia . . . and for me. Because as the recently-appointed president of Thomas More College, I helped to bring the school back from the brink of bankruptcy while enhancing her reputation as an authentic Catholic college, John and his Board of Directors believe I can work similar miracles here. They want Thomas More College to manage Sophia and me to become President and Publisher of Sophia Institute Press. They hope that the same spirit that now drives Thomas More will resuscitate Sophia.
. . . not the Faith that countless generations will come to know through these holy books and these good souls. Imagine, for a moment, a world in which Sophia's books never had been published, or a world in which their publication ceased. and I shudder to think of it. Had John not given himself so many years ago, a great light might have grown dim in our world . . . indeed, might have been extinguished and lost, for truly, everything that’s not given is lost. 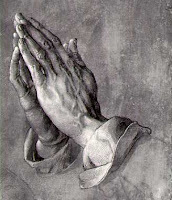 For the sake of the Church, for generations of Catholic readers, and because I believe I discern the hand of God in my now being asked to save the very Press that so many years ago helped save me --- because of all of these things, and to do something beautiful for God, this week I agreed to become President and Publisher of Sophia Institute Press. I said earlier that I wasn’t sure I could save Sophia. I know I can’t do it alone. If you and I don’t give, and give immediately, Sophia Institute Press will be lost. My next email to you (in just a few days) will contain her obituary. do something beautiful for God? Will you use this Paypal button to contribute now to the resurrection of this great Press that has already published almost 3 million solid Catholic books, and brought so many souls back to the faith, myself included? Will you help now with your largest donation ever? You see, right now, as I take the reins of Sophia, I understand (but do not share) John’s profound discouragement: in good times, he sometimes published thirty fine Catholic titles a year; it’s been twelve months since he’s had money enough to publish any new titles whatsoever. Nonetheless, he has soldiered on. Now although we are within weeks of resurrecting Sophia Institute Press, right now there’s not even enough money for payroll. Thomas More College was in worse shape when I was asked to lead her. We had more than $500,000 in overdue bills; some faculty and staff had already gone weeks without pay; we were close to closing our doors. With God’s help, we turned the College around, and we did so quickly. Now Thomas More College is a flourishing institution, a beacon of hope in the world of Catholic higher education. With your help, I believe the same enterprising, energetic team that restored Thomas More can restore Sophia . . . if only I can buy time for them by raising $100,000 in the next two weeks. That money will get creditors off our back and restore to print 25 of our best-selling but out-of-stock books. We desperately need the surge of income those books will provide; without it, we simply cannot succeed. "Reach high," she urged us, "for stars lie hidden in your soul. 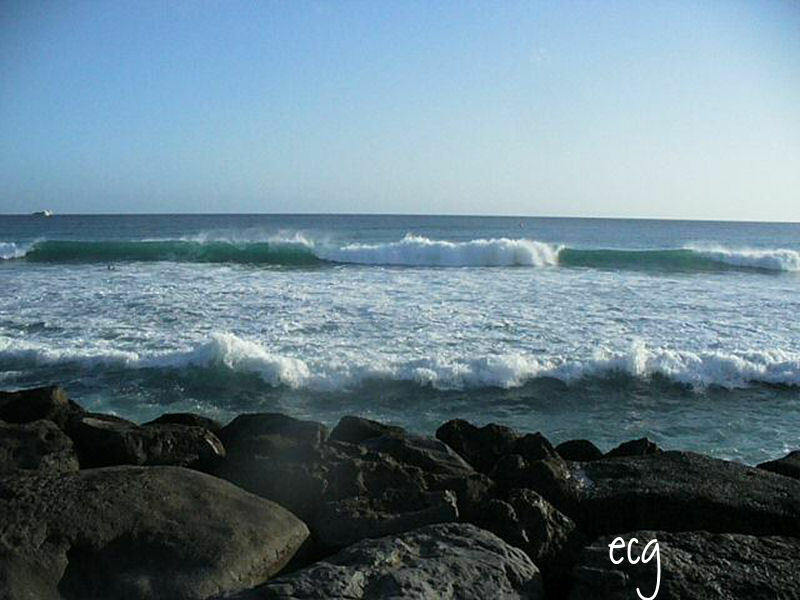 Dream deep, for every dream precedes the goal." My dream is to return Sophia to the prolific publishing schedule she followed for decades: two or three handsome new editions of Catholic books each month, holy Catholic classics and lively new books about Christ and our Faith. With the help of our fine staff, with your help and your prayers, too, we will flood our sorrowful world with scores of new editions of solid Catholic classics and with new works of Catholic philosophy, theology, apologetics, history, and even Catholic fiction. Will you join us in this noble work? And will you do it now? what is not given will be lost. Thank you, and please pray for John, for me, and for Sophia Institute Press. Lent should suggest to us these basic questions: Am I advancing in my faithfulness to Christ, in my desire for holiness, in a generous apostolate in my daily life, in my ordinary work among my colleagues? There are two articles worth reading today. Adoration and the Lenten Prayer Campaign for the Renewal of Catholic Colleges! Ca you commit to offer a holy hour for the renewal of Catholic colleges? I would also suggest you checking out Daughter of the King's An Hour in Paradise. 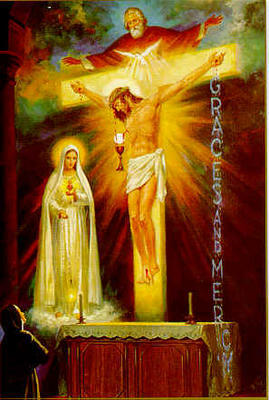 It is a beautiful meditation on spending an hour with our Lord in adoration.